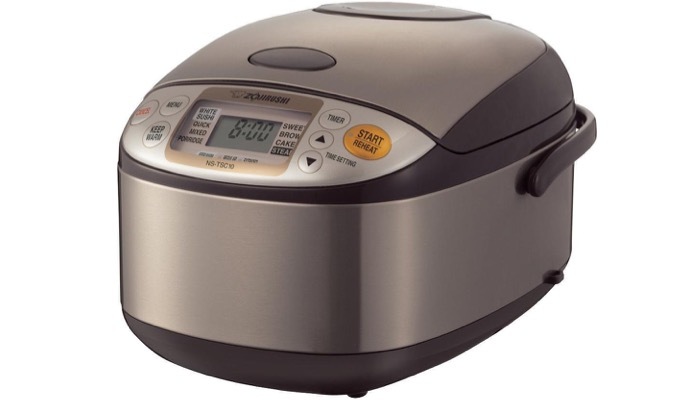 If you want perfectly cooked steamy rice, a good quality rice cooker is what you need. It is possible to cook rice in a regular pot but a proper rice cooker will make everything easier for you. Nothing makes a perfect meal than hot perfectly moist rice, not overcooked and not undercooked. To cook the viand to go with your delicious rice, you would need proper cookware and these are the best pots and pans to go with it. When you cook the rice, you have to measure the proper amount of water so that it’s not too dry and not too watery. This is a great trick on how to measure rice to water ratio using your finger. So how do you choose the best rice cooker for your kitchen? You would need to know the right materials and features and we’ve listed the best options for you. Our top pick is not only a rice cooker but a multifunctional and versatile cookware. 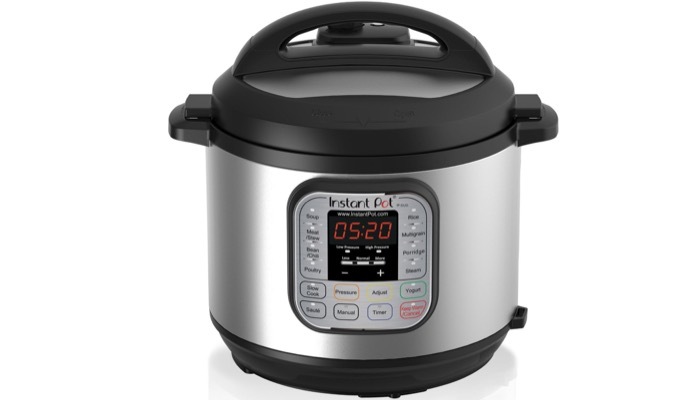 It’s the Instant Pot 7-in-1 Multi-Use Programmable Pressure Cooker, Slow Cooker, Rice Cooker, Steamer, Sauté, Yogurt Maker and Warmer. It combines 7 kitchen appliances in 1 and it prepares dishes up to 70% faster which is great for those with a busy lifestyle. 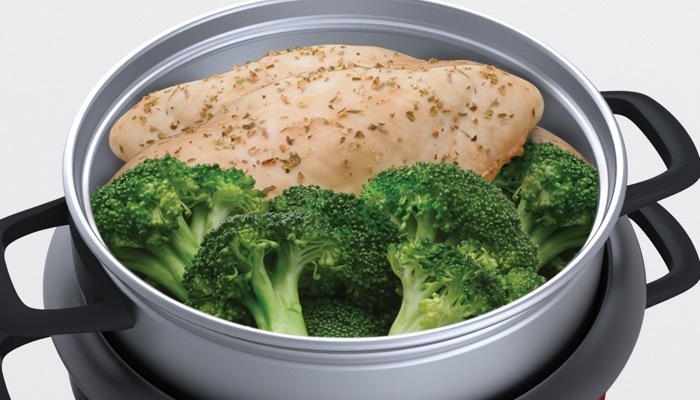 It has a healthy stainless steel construction and has no chemical coating so it’s safe for you and your family. 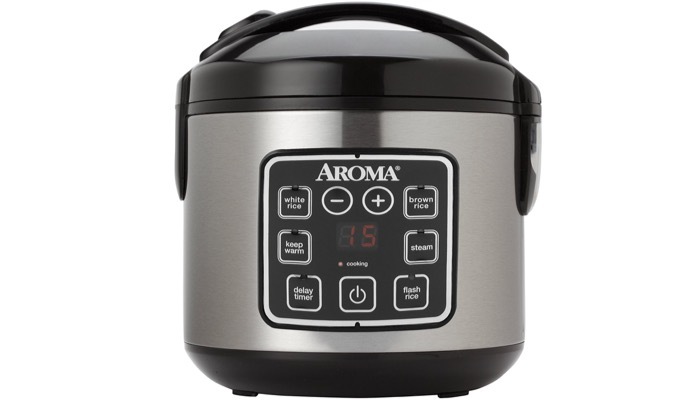 Our next best choice is the Aroma Housewares 8-Cup Digital Cool-Touch Rice Cooker and Food Steamer with Stainless Steel Exterior, Silver. This can yield up to 8 cups of cooked rice. 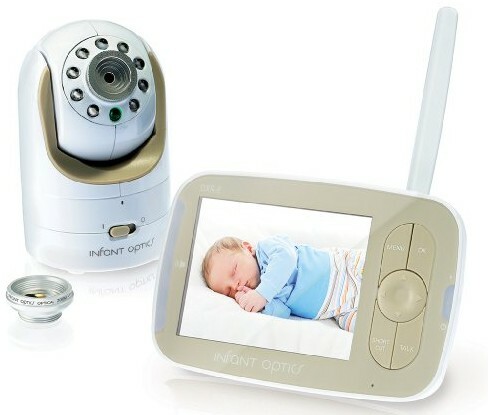 It features easy to use functions and programmable digital controls. This is great even for those who don’t have experience in manually cooking rice. The great thing is it also includes accessories like the steam tray where you can cook other food while cooking rice, measuring cup and serving spatula. 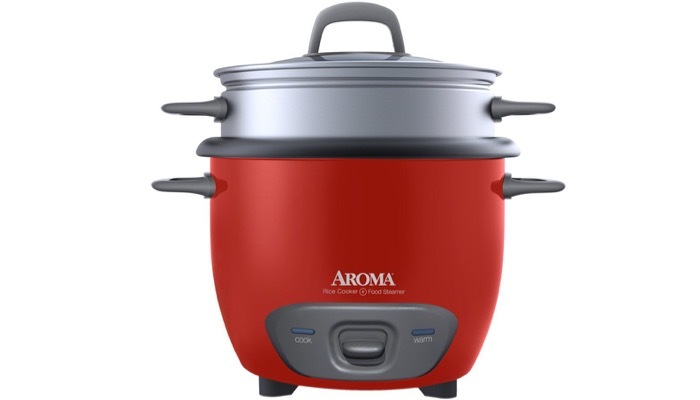 A great conventional choice for those who just want a simple cooker is the Aroma Housewares 6-Cup Pot Style Rice Cooker and Food Steamer. It has a capacity of 6 cups cooked rice. 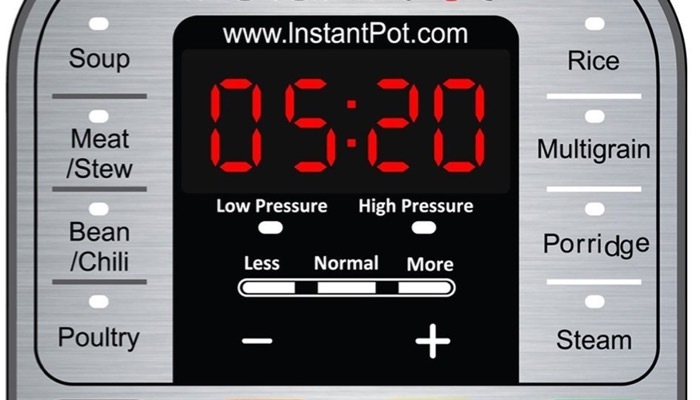 This cooker features a simple one touch operation. The automatic keep warm function keeps the rice warm even after cooking so you can serve warm delicious rice when it’s meal time. It includes a steam tray so you can cook vegetables or dumplings along with the rice, a rice measuring cup, and spatula. For those who need more capacity, the Zojirushi Micom Rice Cooker and Warmer, 1.0-Liter is a powerful cooker of choice. It’s a bit more expensive but it has advanced features and larger capacity. This is a micro computerized fuzzy logic technology that also comes with a steamer and a cake menu setting. It makes 10 cups of cooked rice, perfect for big families or big gatherings. There is a wide variety of cooking functions that lets you cook sushi, noodles, porridge, and more. 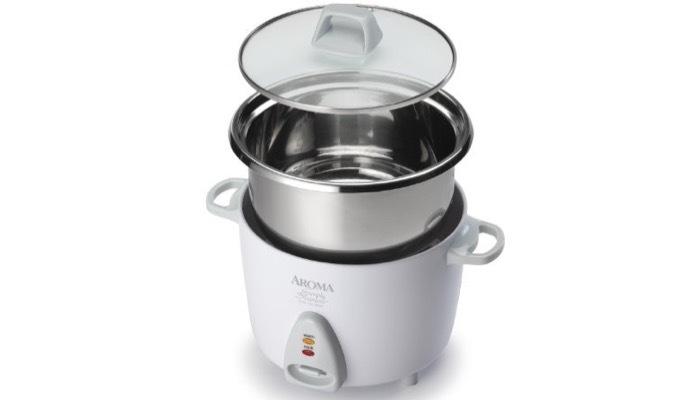 A simpler and more economical alternative is the Aroma Simply Stainless 6-Cup Rice Cooker, White. It can perfectly prepare 2 to 6 cups of any variety of cooked rice. This cooker features 100% surgical grade 304 stainless steel construction and cooking pot. The simple one touch operation lets you cook rice with no fuss. It has a keep warm function so you can keep your rice warm until you serve. It’s also great for soups, jambalaya, chili, and other foods. 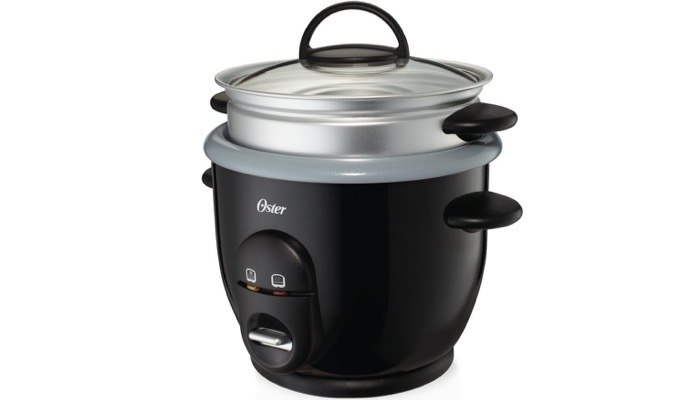 The best pocket-friendly option is the Oster Titanium Infused 6 Cup Rice & Grain Cooker with Steam Tray. It has a uniquely innovative design with DuraCeramic titanium infused coating that is non-stick. It lasts 8 times longer and will not flake or peel. This is a great quality cooker for the price. It cooks up to 30% faster to save you energy and time. The one touch controls eliminate complications in cooking and it features a keep warm function so you can serve your rice hot. 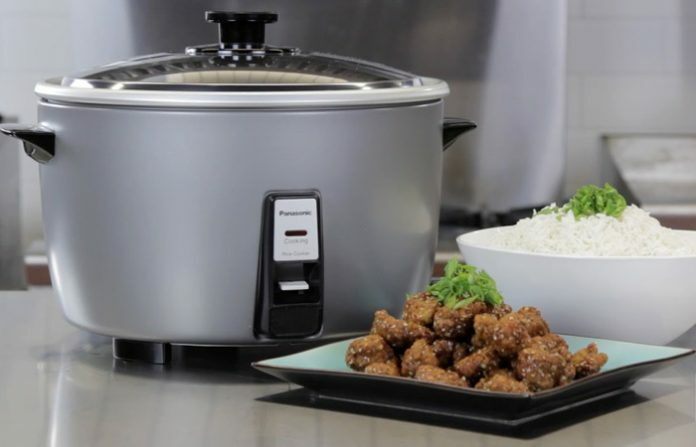 Choosing your rice cooker depends on the size that you need and the features as well as extras that you think will be useful for your home. Different rice cookers have varying capacities. Some can cook up to 10 cups of cooked rice which is perfect for those with large families that regularly eat rice. This is also great for parties or big gatherings. But for small sized homes, you can choose those with 4 cups capacity and the middle 6 cups if you have a slightly bigger need. You need to consider the material of your pot or rice cooker. The inner cooking material is important and usually, stainless steel is the best. If not, make sure that it is nonstick so you won’t have a hard time getting the rice transferred from the pot to your plates. Most rice cookers these days also include a steamer. This is not necessary to cook rice but it would be great to save you time if you also want to steam some veggies or lean meat. A keep warm feature is a must because you don’t always perfectly catch when the rice has cooked. This will help extend the warmth of the rice even after cooking so you can serve steamy hot rice when it’s time to eat. Some rice cookers also allow you to cook other meals in it. This is great if you don’t always eat rice and want to use the appliance for other purposes. This way, you will be making a good investment. Some rice cookers allow you to cook brown rice, porridge, soup, and maybe some meat as well. Your rice cooker should also be energy friendly so you don’t end up paying very high bills just by regularly cooking rice. You should also store rice that is leftover and here are the best food storage containers that you can use.